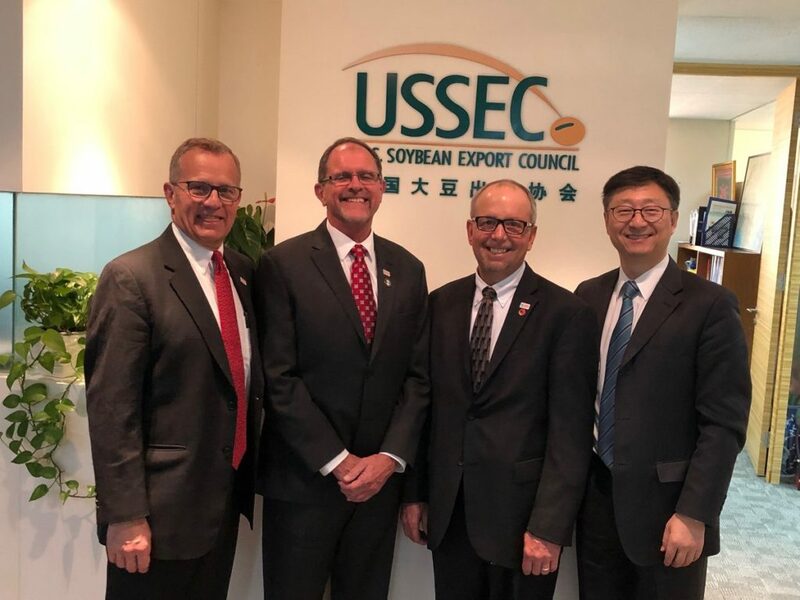 As part of the continued, multi-country tour to promote U.S. soy, leaders from USSEC, ASA and USB are meeting with Chinese importers in Beijing and Shanghai this week. ASA President Davie Stephens and USB Chairman Keith Tapp are participating in the meetings, where they will talk to buyers about the advantages of U.S. soy, including years of farming experience, technology innovations, sustainability practices, and being positioned to effectively serve a global marketplace. The meetings are a part of USSEC’s efforts to maintain and further build relationships with exporters and stakeholders in international markets. Consumers globally are demanding soy products in record volume and U.S. exports to other countries have grown significantly over the past year. To ensure this demand continues, USSEC is focused on short and long-term strategies to increase availability of innovative, nutritious and quality U.S. soy. As part of these strategies, USSEC is conducting a tour called Experience Today’s U.S. Soy Advantage in key priority markets. The purpose of these meetings is to remind customers of the benefits of U.S. soy, thank them for their trust in American soybean farmers, and foster U.S. soy interests. To date, events have been held in numerous markets across the world.